All Grain Plus Extract Dunkelweizen homebrew recipe. 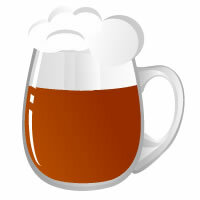 This homebrew recipe uses the following ingredients: White Wheat - US, Khorasan Wheat, Dry Malt Extract - Light - US, Chocolate Wheat Malt - DE, Roasted Barley - US, Maltodextrin - US, Hallertau Hops, Fermentis Safbrew WB-06 Homebrew Yeast. This recipe was cloned from Khorasan Dunkel Wheat Beer.